Benefits of Sleep Tracker Devices - Should You Track or Not? A sleep tracker can improve the quality of your nocturnal hours, and in doing so improve your quality of life. With hectic schedules and global concerns flaring up anxiety fueled stress, getting those precious 8 hours is more important than ever. Prolonged sleep deprivation leaves humans vulnerable to a slew of serious medical conditions. And not just mental health problems. Numerous studies have linked avoidable maladies such as heart disease, type two diabetes, & respiratory disease with sleepless nights. While at-home-wearables or non-wearables are not as accurate as the professional medical tests, they enable you to monitor, assess, and improve your sleep cycle. Perhaps your desperate need for naps and caffeine is down to interrupted dozes or a few too many all-night study sessions. It's time to decode your sleep with ease! Science has studied sleep throughout history, but never before on this grand a scale. Having test subjects in their natural environments used to be tricky, and now everyone is volunteering to be self-monitored. Thanks to the popularization of personal tracking systems, the amount of data these devices can analogize is invaluable. To quote Hannah Augure, "BCC Research predicts that sleep-aid products will be booming in the upcoming years." It's no wonder with results like these. The system is continually taking information in and collating every detail it can. First through the individual consumer; each wearing a device that documents their routines. On this stage perhaps the info gathered is mildly interesting but not an essential requirement for enjoyment or function. Comparing how you rank against others in your gender or age bracket is always a fascinating past time. However, that doesn't mean everyone wants to get so very mathematical with their lives. Next comes the comparative health ranking; by illustrating the definitions of what is healthy & what could be improved upon, the individual can make beneficial adjustments while the larger companies can refine their investigations. And finally comes the big picture puzzlers; where researchers, developers, and startup entrepreneurs are all utilizing those statistics to find unexpected solutions for humanity. The wisdom we can glean from sleep tracking has the potential to be the most beneficial aspect of wearable technology as a whole. Unlike other aspects of daily life, the details of our night routines can be lost. When we mindfully monitor our behavior patterns - be they diet, daily steps, or sleep hygiene - we are often compelled into making better choices for ourselves. These small changes can vary from choosing to drink less caffeine or simply prioritizing an earlier bedtime. By merely staying present, and tallying the results of our choices throughout the day and night, we can achieve something our ancestors couldn't imagine. With this kind of electronically accurate hindsight, we can take preventive health care to the next level. When picturing laboratory tests, images of infinite wires, beeping machinery, and a crowd of white-clad clinicians quietly taking notes while they watch you on a slab inevitably dance before our eyes. Not to mention anything of the financial cost! You can always attempt to cram all the trappings of a hospital into your bedroom, but that seems a bit absurd. At-home gear is the far better option in terms of affordability, ease of use, & uncomplicated setup. While these devices are honestly not as accurate as their predecessors, they still grant users with a painlessly manageable system to log their sleep trends. Most operate tests similar to the PSG format with the added bonus of in-app projections & helpful advice. By transforming this data into actionable practices, you can achieve a good night's rest and an awareness into what techniques work for you. If you google "how to sleep better" or "old tricks for falling asleep," you will flood your screen with outdated old wives tales of counting sheep or big pharma's pill agenda. Do you want to know why humans are always seeking better ways to sleep? Because those methods don't work for everyone, and these devices were invented to work smarter for your sleep. These gainful devices offer more than ridiculously interesting facts (like women on average sleep 20 minutes longer than men). Many sleep trackers dispense techniques that can help improve the quality & duration of your sleep. Relaxation: exercises ranging from breathing lessons to sophrology, neurofeedback to diverse soundscapes. Sound Stimulation: If you're sleeping well, Dreem will emit non-invasive sound stimulations at specific moments during deep sleep to increase the frequency and amplitude of your Delta waves. Smart Alarm: Timing is everything, especially when it comes to waking up. The headband tracks your sleep in real-time, triggering the Smart Alarm when you're sleeping the lightest. The Sleep Shepherd also tracks brain waves, but its methods are entirely different. 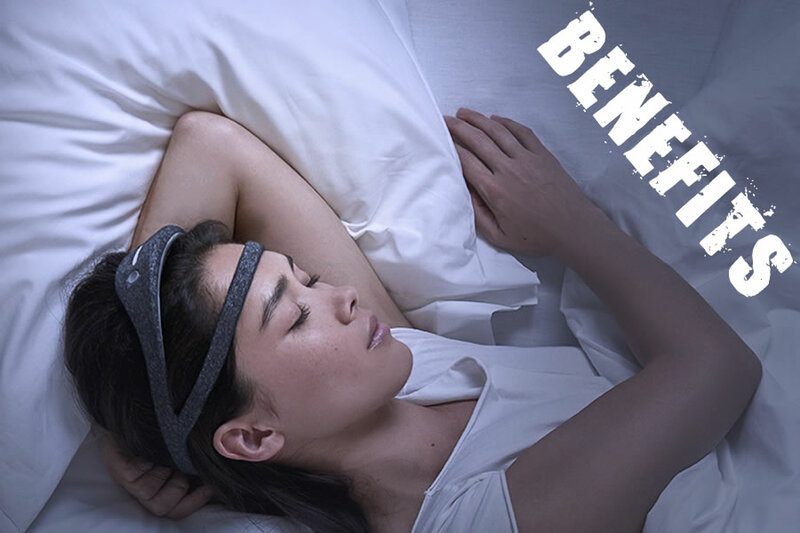 This headband covers your ears as well, but in each ear, binaural beats are played to optimize your sleep cycle. When the dynamic frequencies cross in your brain, it reacts & adapts to them; this means you are given the ability to raise or lower your brain rate intentionally. Another product, the Thim Ring, implements a sleep conditioning program where the smart ring wakes you up during the first hour of your bedtime. This practice has been shown to aid in both the increase of sleep duration & the reduction of interrupted sleeping. On the surface, these devices are simple. With minimal setup and uncomplicated analytics, the user can set & forget their electronic helpers without too much hassle. The fascinating aspect comes into play once the user begins to ask themselves "How exactly does this machine know what I am doing?" Developers began their focus on how the devices would interact with the transitions in our physiology. As previously mentioned, human asleep is not inactive. As one moves through light meditative rest into deep or REM sleep, several changes are measured to differentiate between the phases of rest. The two most commonly built-in features are the heart rate monitor & the accelerometer. Considered the less accurate of the two, the accelerometer can directly associate the amount of movement produced to a specific stage in the sleep cycle. Breathing becomes steadier as well, which can also be recorded. But these experts have looked beyond the body at rest, to the external factors of your sleeping environment. Where you sleep impacts how well you sleep more than you might imagine. Environmental factors, such as temperature and ambient light & sound, all play significant roles in your ability to sleep soundly and not every device will factor them all in. While asleep, your core body temperature is meant to drop slightly. Personally, it seems a bit unreasonable to assume every sleeper can control the humidity & temperature of their living quarters each night. That is why these devices record the climate for you. If a temperature of 60-67 degrees and a humidity of 40-60% represents the ideal conditions for a cozy night and your space cannot accommodate those requirements, is it any wonder you've found it hard to get comfortable? The SleepScore Max, the Beddit 3 & the Sleep Reston are the non-wearable sleep trackers on the market for this. These however only establish how room temperature affects your sleep. There are more interactive devices. If you are seeking a more hands-on approach there are bed heating and cooling systems, like the Bedjet, where the device both tracks circadian rhythm and provides your ideal temperature during the night. Light pollution can become deceptively complex when compared to measuring temperature, making the sensors for it all the more vital. As natural light dwindles our bodies release melatonin. The hormone relaxes our muscles, lowers our core body temperature and readies us to sleep. The greater amount of artificial light we are exposed to, the further we throw off our circadian rhythm. With the SleepScore Max watching & listening beside your bedside, you can establish whenever you self-sabotage your routine for one more episode on Netflix. Most non-wearable sleep gadgets require linking up with a mobile device for the corresponding app to run smoothly. Although many have the ability to measure noise through the use of microphones, they must hijack the one on your mobile phone. Once connected, the monitor can listen to your environment while you rest. Aside from proving to your partner which one of you saws logs the loudest, this will determine which sounds (if any) need to be phased out to benefit your beauty rest. The ZEEQ Smart Pillow will gently vibrate to urge the sleeper to change positions if it picks up the sound of snoring. Not everyone is comfortable sleeping with earplugs in or noise canceling headphones on all night, so products like the Beddit 3 and Withings Sleep can be an elegant solution to a snoring partner. Also, if your snoring is extremely disturbing, this can be a sign of sleep apnea or other medical conditions. While ideal conditions are never easy to achieve, especially while traveling, the objective here is to harvest as much helpful information as possible to achieve your snoozing goals. Smart homes, like a great art gallery, are cultivated to personal tastes. Predilections of harmonious kitchen appliances and digital calendars are currently sweeping the globe, but personal health & sleep trackers are still dipping their toes into this synchronicity game. Automation as a feature is still unsupportable for many brands, but the following devices are leading the way. The Withings Sleep is compatible with the Nest Thermostat & the Hue light by Phillips, so it can adjust your environmental temperature & set a hue scene when you get into bed or out of bed at the same time. The Misfit Shine 2, while also suitable for those needs, allows for endless IFTTT actions. You can take a selfie, control your music, post data to spreadsheets with the tap of a finger - It's like the swiss army knife of sleep devices. Unfortunately, you cannot run multiple functions at the same time. There will be no disco techs in your bedroom with this gadget. As with any goal, the key to success is focusing on what works for you. The benefits of cultivating a healthy night routine directly impacts all aspects of your life. We all know how it feels to power through a rough week of poor sleeping - a sluggish, foggy brain meets a wired frazzled body. We make mistakes and chose less efficient methods of personal care until we crash. When you are stocked up on a good chunk of deep sleep, your mind and body are stronger. Your entire well-being is transformed. The choice is yours, but honestly who wouldn't want to revolutionize their sleep with a little help from the technology fairy? THIM Review: Condition Yourself to Sleep Better!